I just joined today and was wondering if ye could help me out? I collect for many many systems but I've always had a shine for prototypes and or test / promo carts. 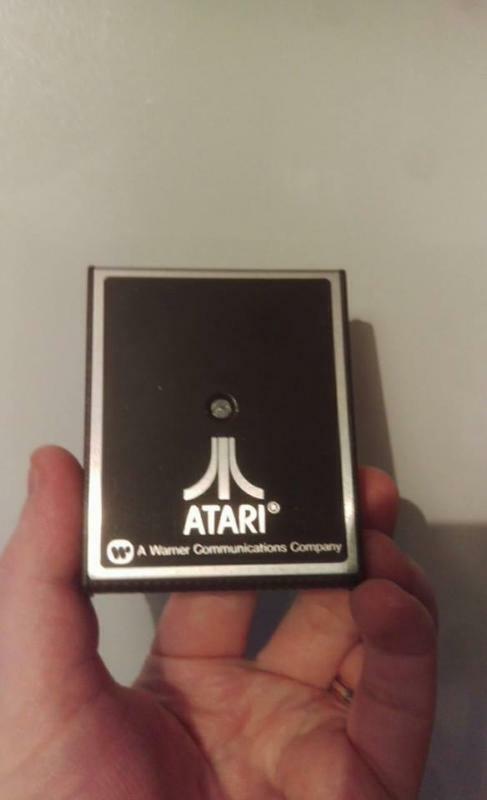 Could anyone give me information on this cart please as unfortunately Atari is not my area of expertise at all. What I've been told is that it would have been supplied by Atari to service centers to verify systems were working. 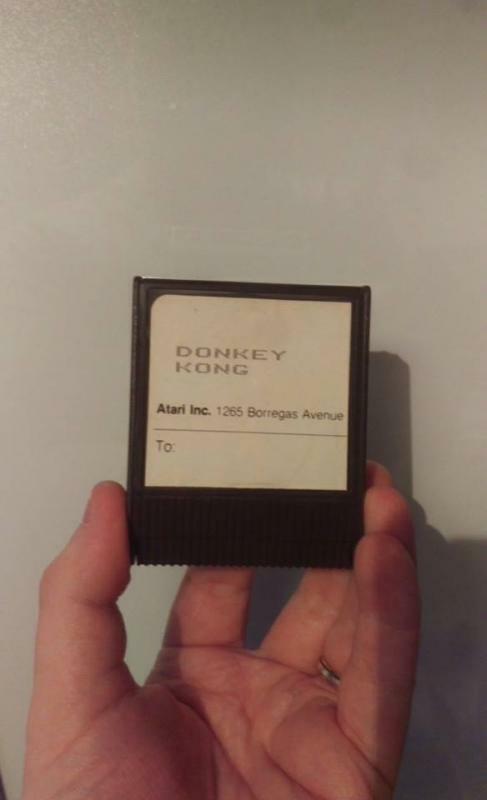 It seems to be the same cart as the RX8031 Donkey Kong cart but I don't actually have a physical system to test it at present. My next question would be is it legit? or would anything point to it being real? I opened it as can be seen in the picture included but genuinely can't figure out how to get the pcb fully out of the plastic cartridge shell. I don't want to risk damaging it. The plastic part that would shroud the screw (has been removed where the pcb is visible) seems to be restricting me removing it even when the plastic tab at the top has been carefully pulled up. Im so sorry for all the innocent clueless questions. As i mentioned before I'm fairly dumb when it comes to Atari but I'm here to learn! 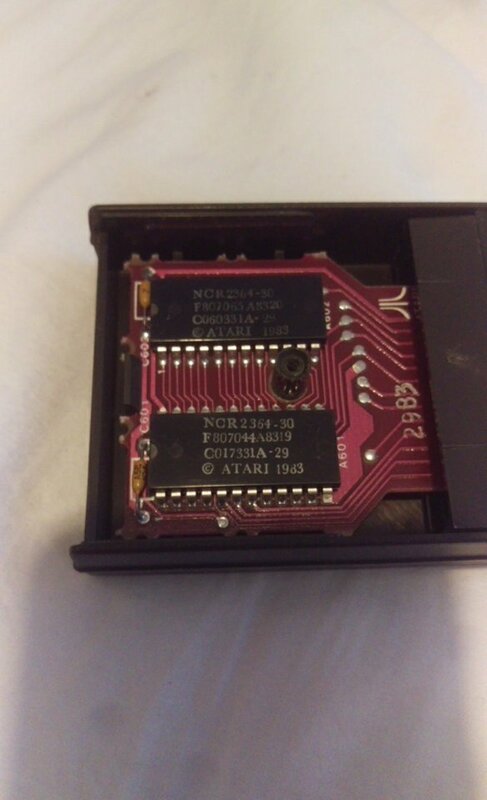 Hello, the board inside the cartridge is not a prototype, 2364's are 8K mask ROM's. cool. thank you. Ill get on google and check that out. Someone else suggested it was a loaner.... what exactly does a loaner entail? and or mean? Like a promo or test cart? This is probably a review copy. Prototypes have EPROM's in them, it was and still is very expensive to do a run of mask ROM's, so they were only used after a game was determined to be finished.